CHAPTER 6. An Old Friend In a New Home. “Dear me! Dear me! Dear me!” cried rather a plaintive voice. Peter stopped so suddenly that he all but fell heels over head. Sitting on the top of a tall, dead, mullein stalk was a very soberly dressed but rather trim little fellow, a very little larger than Bully the English Sparrow. Above, his coat was of a dull olive-brown, while underneath he was of a grayish-white, with faint tinges of yellow in places. His head was dark, and his bill black. The feathers on his head were lifted just enough to make the tiniest kind of crest. His wings and tail were dusky, little bars of white showing very faintly on his wings, while the outer edges of his tail were distinctly white. He sat with his tail hanging straight down, as if he hadn’t strength enough to hold it up. “Hello, Dear Me!” cried Peter joyously. “What are you doing way down here? I haven’t seen you since you first arrived, just after Winsome Bluebird got here.” Peter started to say that he had wondered what had become of Dear Me, but checked himself, for Peter is very honest and he realized now that in the excitement of greeting so many friends he hadn’t missed Dear Me at all. “Did you catch a fly then?” asked Peter. Peter looked all around, this way, that way, every way, with the funniest expression on his face. He didn’t see anything of Mrs. Phoebe and he didn’t see any place in which he could imagine Mr. and Mrs. Phoebe building a nest. “What are you looking for?” asked Dear Me. “I don’t believe it!” cried Peter. But Dear Me knew from the way Peter said it that he really didn’t mean that. “Look and see for yourself,” said Dear Me. So Peter lay flat on his stomach and tried to stretch his head over the edge of the bridge so as to see under it. But his neck wasn’t long enough, or else he was afraid to lean over as far as he might have. Finally he gave up and at Mr. Phoebe’s suggestion crept down the bank to the very edge of the Laughing Brook. Dear Me darted out to catch another fly, then flew right in under the bridge and alighted on a little ledge of stone just beneath the floor. 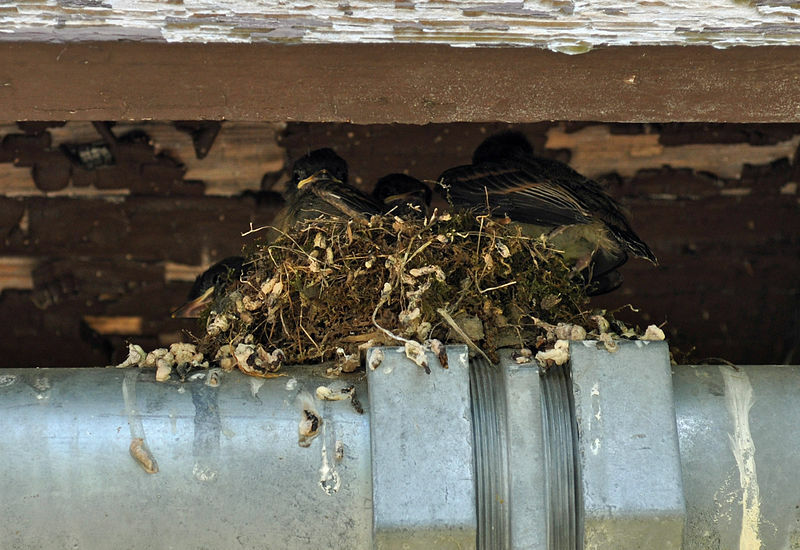 There, sure enough, was a nest, and Peter could see Mrs. Phoebe’s bill and the top of her head above the edge of it. It was a nest with a foundation of mud covered with moss and lined with feathers. “Dear me! Dear me! Good-by Peter. Dear me!” replied Mr. Phoebe as Peter started off for the Old Orchard. Perhaps it was because Peter was thinking of him that almost the first voice he heard when he reached the Old Orchard was that of Chebec, repeating his own name over and over as if he loved the sound of it. It didn’t take Peter long to find him. He was sitting out on the up of one of the upper branches of an apple-tree where he could watch for flies and other winged insects. He looked so much like Mr. Phoebe, save that he was smaller, that any one would have know they were cousins. “Chebec! Chebec! Chebec!” he repeated over and over, and with every note jerked his tail. Now and then he would dart out into the air and snap up something so small that Peter, looking up from the ground, couldn’t see it at all. “I just saw your cousins, Mr. and Mrs. Phoebe, and they already have a nest and eggs,” said Peter. “Are you the smallest in the family?” asked Peter, for it had suddenly struck him that Chebec was a very little fellow indeed. Chebec nodded. “I’m the smallest,” said he. “That’s why they call me Least Flycatcher. I may be least in size, but I can tell you one thing, Peter Rabbit, and that is that I can catch just as many bugs and flies as any of them.” Suiting action to the word, he darted out into the air. His little bill snapped and with a quick turn he was back on his former perch, jerking his tail and uttering his sharp little cry of, “Chebec! Chebec! Chebec!” until Peter began to wonder which he was the most fond of, catching flies, or the sound of his own voice. “Do you start it with mud the way Welcome Robin and your cousins, the Phoebes, do?” asked Peter. 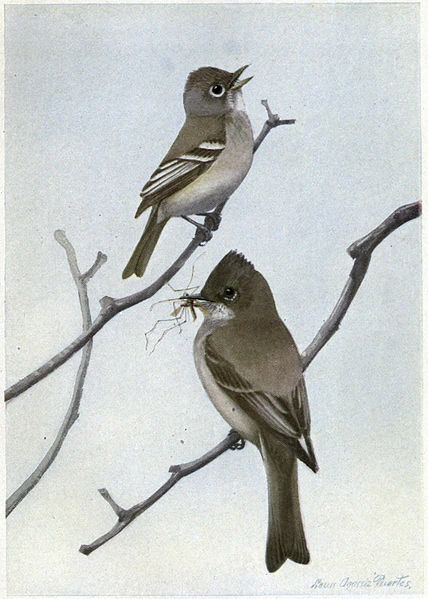 The family that the Phoebe and the Least Flycatcher belong to is the Tyrant Flycatchers – Tyrannidae Family. It is a very large family, but most do not live here in North America. How does the story describe Dear Me the Phoebe? What is the nest made out of? Why did he get back before the others in his family? 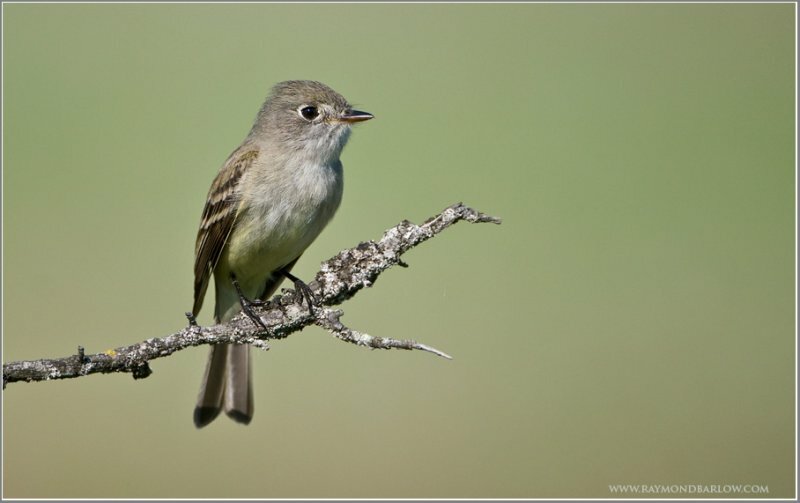 The Least Flycatcher is called Chebec. Do you know why? Why did he get back later than Dear Me? How is Chebec’s nest different from Dear Me’s? 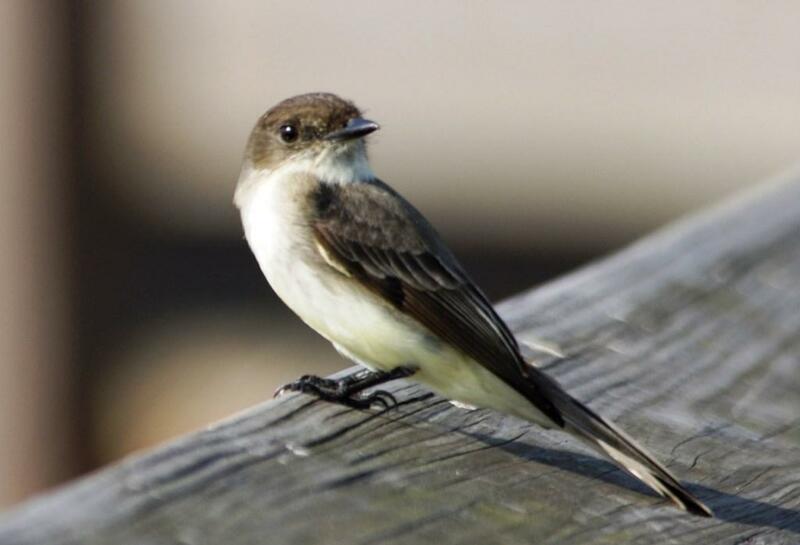 Chebec is the largest or smallest member of the Flycatcher family? This entry was posted in Birds, Birdwatching, From The Past and tagged Birdwatching Tips, Burgess Bird Book For Children, Christian, Home School, Kids, Least Flycatcher, Nature, Nests, Phoebe, Youth. Bookmark the permalink.